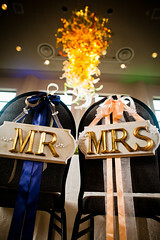 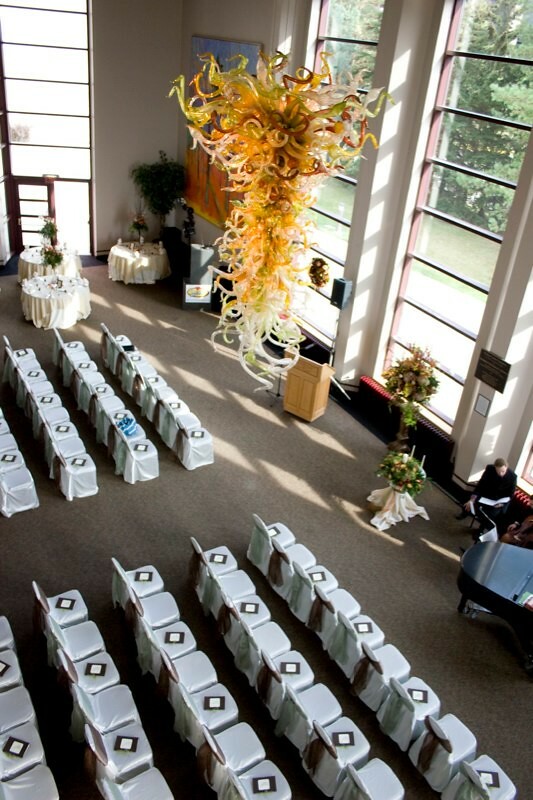 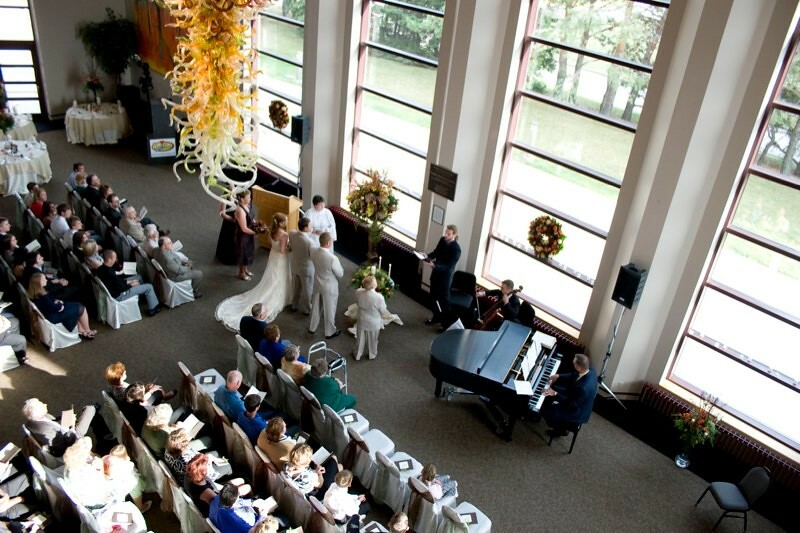 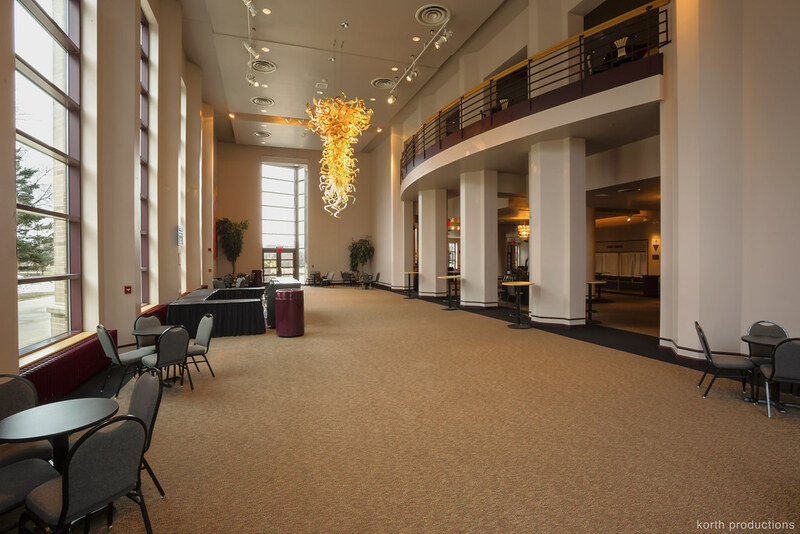 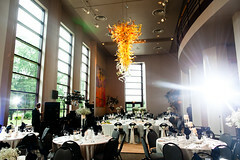 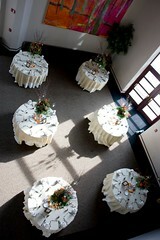 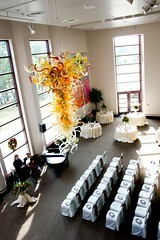 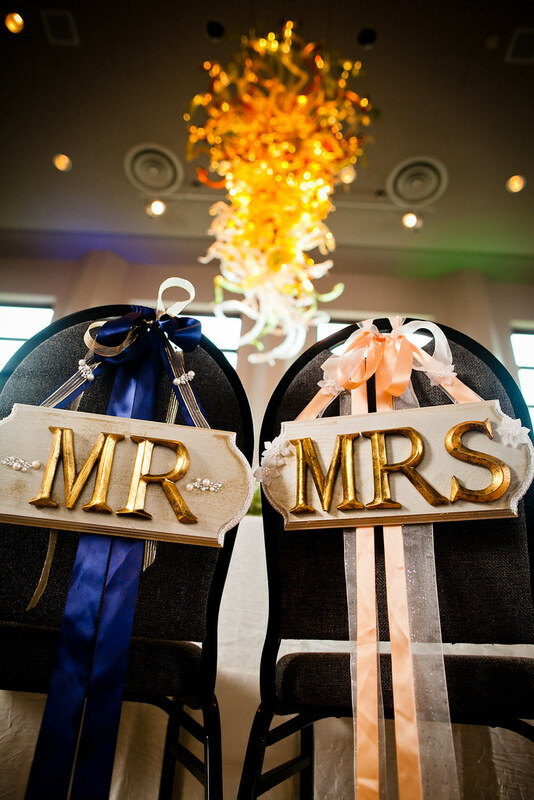 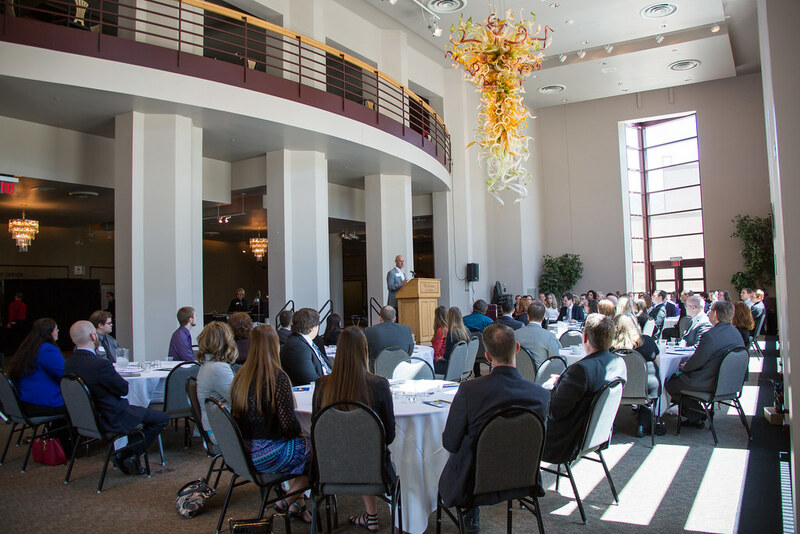 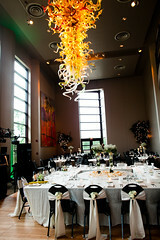 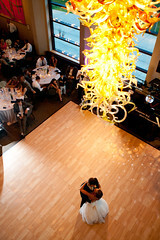 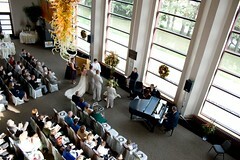 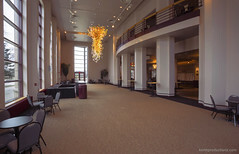 Spacious and impressive, the 2500 square-foot Grand Foyer serves as the site for numerous receptions and special events. 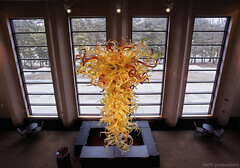 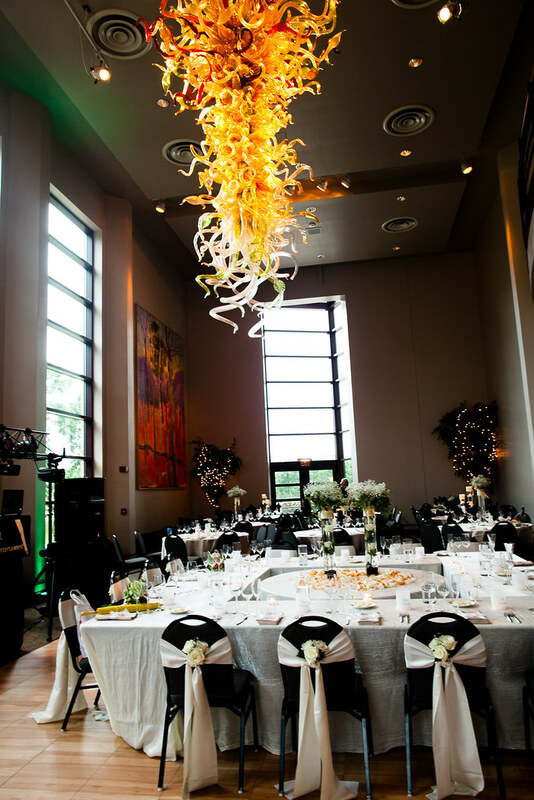 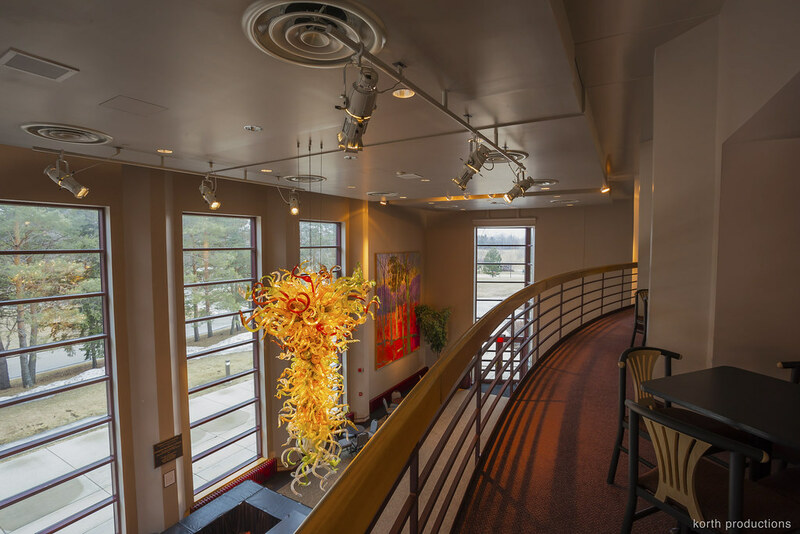 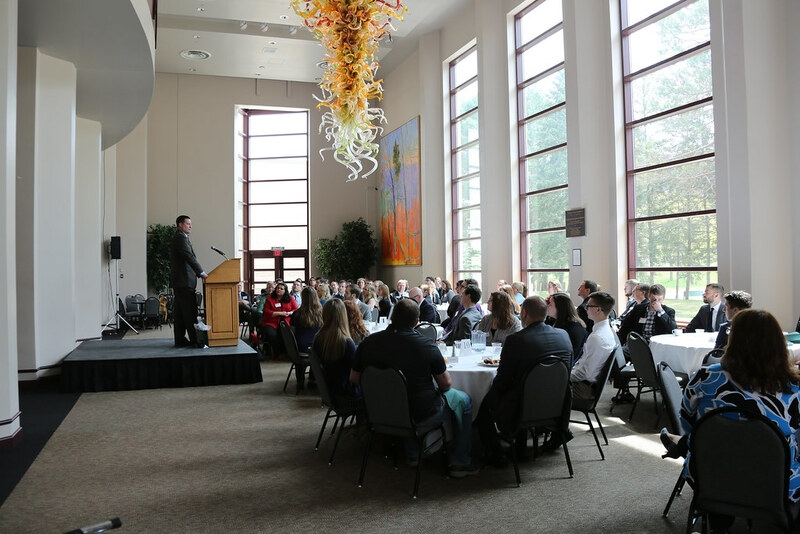 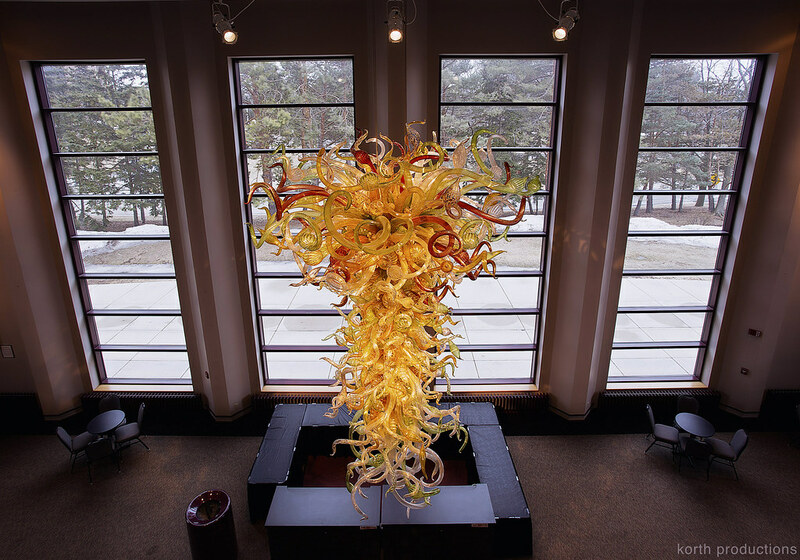 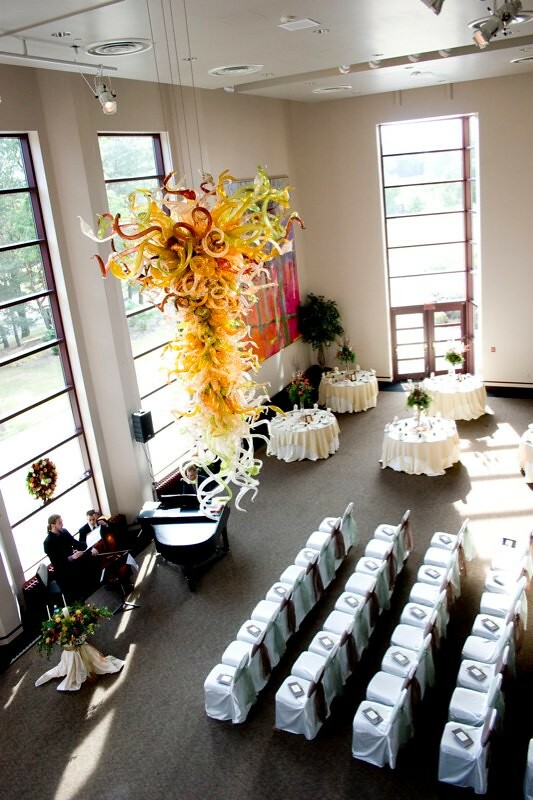 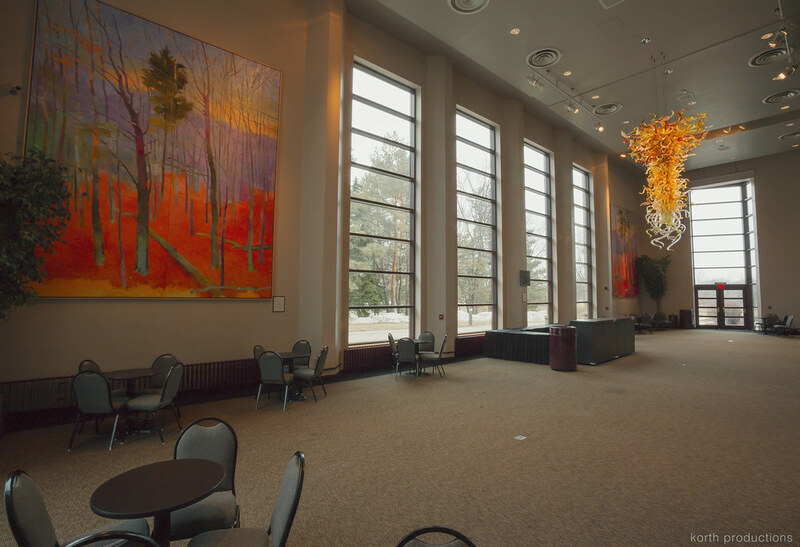 Featuring a wall of three story windows, this area contains the remarkable Weidner Center Chandelier by artist Dale Chihuly, which beautifully compliments the two Wisconsin Hardwoods oil paintings by Rodger Bechtold. 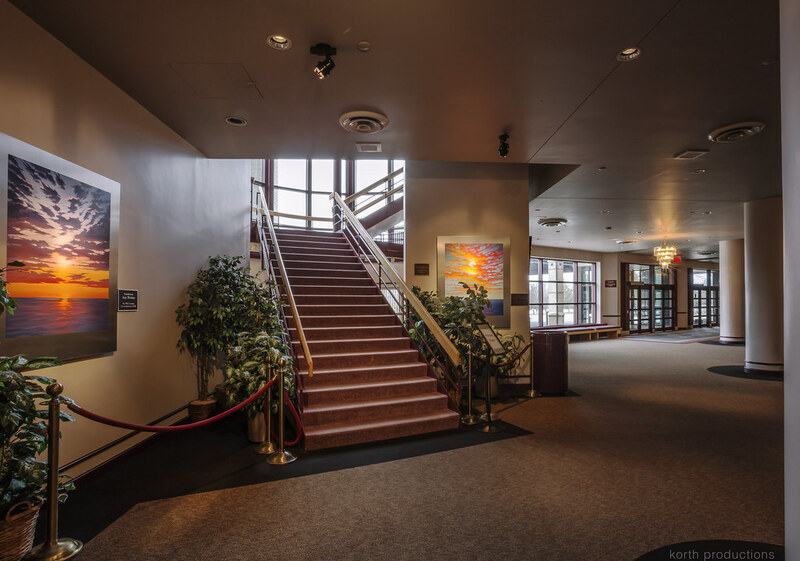 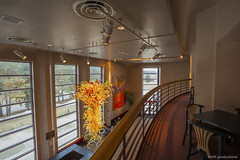 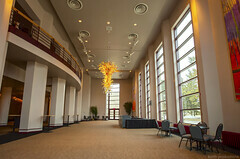 Adjacent to the Grand Foyer is the Orchestra Lobby, highlighted by Andrew Arvantes’ Road Show sculpture, and two vibrant paintings by Mai Wynn Schantz. 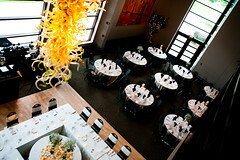 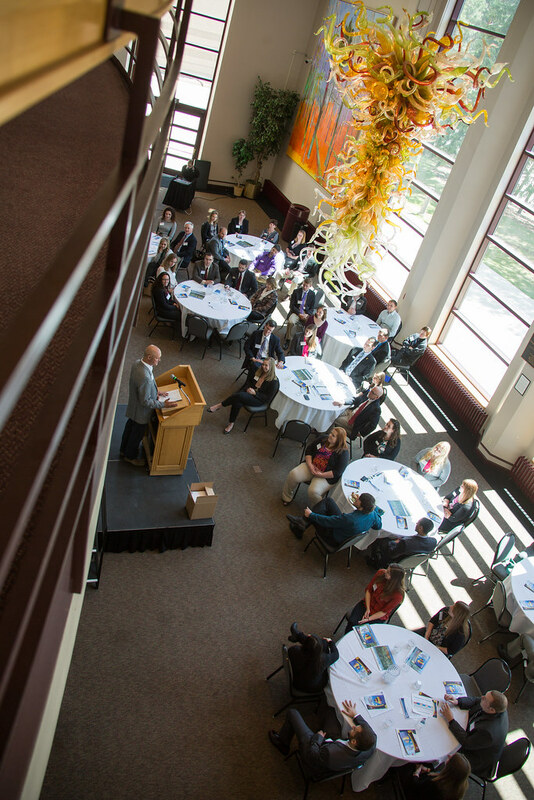 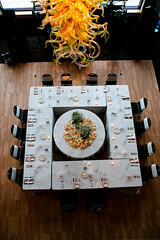 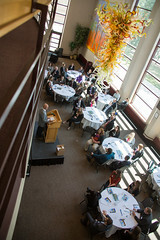 Truly an elegant place to hold your special event.